Can you handle the heat? As a serious welder, we're sure you can, and that's why we offer the Black Stallion Men's 30 PWC Premium DURALite Pigskin Welding Jacket, the only torso and arm protection you'll need when the sparks begin to fly! This 30-inch long Black ... (see full details) (see specifications) #REV30PWC. Can you handle the heat? As a serious welder, we're sure you can, and that's why we offer the Black Stallion Men's 30 PWC Premium DURALite Pigskin Welding Jacket, the only torso and arm protection you'll need when the sparks begin to fly! This 30-inch long Black Stallion jacket, manufactured from tough pigskin leather, is stitched with flame-resistant Kevlar thread. In addition this workwear is reinforced with rivets at stress points for added strength. The men's jacket is crafted for comfort as well, with adjustable wrist straps and convenient pockets both on its sleeves and inside the pigskin jacket. Frontal closure with reinforced snap buttons makes this yellow protective wear easy to shed when the work day is done. This jacket also features waist take-up straps and is designed for a relaxed and roomy fit. This men's workwear is light and long-lasting - the rugged pigskin is half the weight of split cowhide, but it has double the durability. You can also have have this exceptional jacket custom embroidered by the Working Person's store with extra cost. 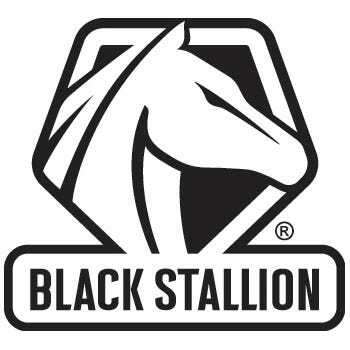 Go ahead and try the Black Stallion Men's 30 PWC Premium DURALite Pigskin Welding Jacket, it has got you covered . Order yours from Working Person's Store today! I like having the Black Stallion 30 PWC jacket. I think it's the best for the money and protection. Once I get working, I don't even notice the weight of it. I like to know I can get so many items at this web site that I can't find in regular stores. Now this pigskin welding jacket is the best. Might be a bit heavy, but the protection is great. I work in extreme conditions and this is the jacket I want to have on. I order these for my husband for work, he works on natural gas pipelines. This is the third one we have owned over the past 10 years. Every time he finally wears one down or outgrows it I order a new one. I have also ordere a few for co workers that would also recommend this product. This is a good, quality made jacket. I had looked numerous places trying to find just the right jacket for the price...Working Person Store was my last stop....I found exactly what i was looking for. The light color was perfect for outdoors in the sun and heat...Sizing was good also..Quality was very good. The jacket has held up very well...Still looks new! The pigskin jacket is really nice the material is nice and light but the grain structure is close so it blocks wind good. I bought it for riding my motorcycle and people are always telling me how good it looks, they don,t know its a welding jacket. I bought the tan color its looks nice and fits my stocky frame well . Black Stallion Jackets: Men's 30 PWC Pigskin Welding Work Jacket is being added to your cart.